Shake off the WINTER BLUES and think sizzling SUMMER!! Student’s will design and construct a stunning KAFTAN. Young designers will create their unique piece using on trend tie-dye methods in this seasons beautiful summer colours. The process of tie-dye typically consists of folding, twisting, pleating, or crumpling fabric or a garment and binding with string or rubber bands, followed by application of dye(s). This will be under the strict guidance of our highly qualified Tutors. 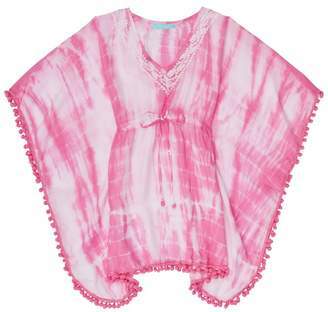 Students will embellish their Kaftan’s with fringing, applique and tassles which will be supplied at camp. Students are very welcome to bring their own embellishment’s. This camp focuses on the process of Fashion Design, guidance will be given from our qualified design team from creative thinking, fashion illustration, sewing machine training and garment construction. The grand finale! All the students will be able to proudly showcase their work on the final day in front of their parents and guests in a thrilling fashion show! Students will need to bring 1.5m in length. (1 meter or more in width). Tall children age 12+ may need extra 1/2 meter. There is no experience necessary for this camp as we will teach the children all they need to know!